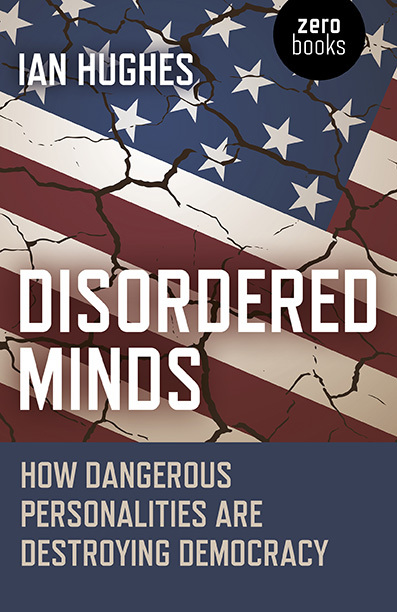 Disordered Minds: How Dangerous Personalities Are Destroying Democracy is published! Irish author and scientist Ian Hughes talks about his new book Disordered Minds: How Dangerous Personalities Are Destroying Democracy which focuses on how a small proportion of people with dangerous personality disorders are responsible for much of the violence and greed that scars our world, with clinical psychologist Paul D’Alton . Ian Hughes adds new scientific insight to one of the deepest conundrums of politics: that positions of power appeal to the narcissistic, paranoid psychopaths among us, with catastrophic results for humanity. ~ Steven Pinker, Johnstone Professor of Psychology, Harvard University, and the author of The Better Angels of Our Nature and Enlightenment Now.